Anchorage is assigning more police to handle drunk drivers. 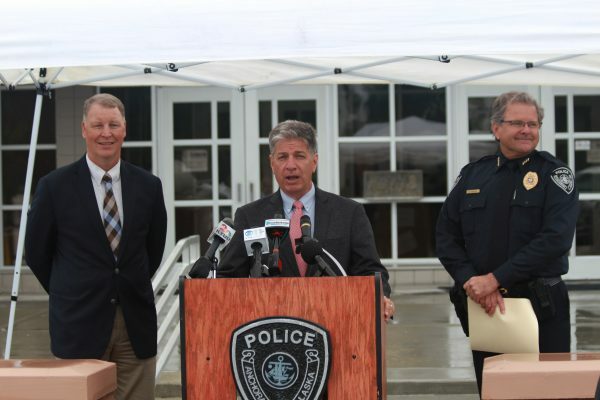 City and police officials held a press conference Wednesday to announce the expansion, funded by a $2 million federal grant through the National Highway Transportation Safety Administration over five years. The money will help pay for a unit with six patrol officers, a sergeant and a clerk, all focused on curtailing impaired driving. A spokesman for the mayor’s administration said the police department lost a traffic unit in 2012 amid staffing cuts, but an ongoing expansion of the department has allowed for more hires. The grant means the federal government is picking up the tab for some of those hires, at least for the time being. Police Chief Chris Tolley said the city has seen a spike in DUI-related fatalities over the last two years: There were nine in 2014 and 14 in 2015, up from four to five annually in the years before that. He said the new unit will patrol between 8 p.m. and 6 a.m., when drunk driving peaks, and he’s asking residents to help by calling police if they see a driver they think might be impaired. The new DUI unit is expected to start patrolling the second week in August.